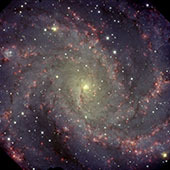 The face-on spiral galaxy NGC 6946 is fueled by the births and deaths of brilliant, massive stars. Over the past century, eight supernovae have exploded in the arms of this stellar metropolis, occurring in 1917, 1939, 1948, 1968, 1969, 1980, 2002, and 2004. This makes NGC 6946 the most prolific known galaxy for supernovae during the past 100 years. By comparison, the average rate for such catastrophic stellar outbursts in the Milky Way is about one per century, and only four have been recorded over the last thousand years. Yet, it is the ubiquitous occurrence of starbirth throughout NGC 6946 and not its supernovae that lend this galaxy its blazingly colorful appearance. For reasons not completely understood, it experiences a much higher rate of star formation than all the large galaxies in our local neighborhood. The prodigious output of stellar nurseries in this galactic neighbor eventually leads to accelerated numbers of supernova explosions. 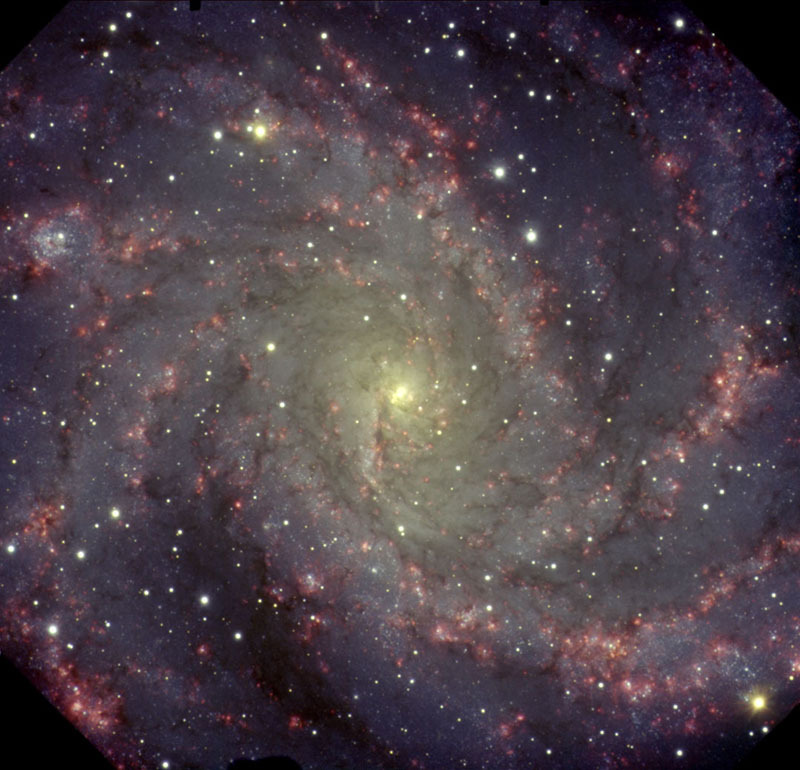 NGC 6946 lies between 10 and 20 million light-years away. The seeing in this image is about 0.50 arcseconds.